Mayors from Vidal's PRO party say they want to end the primaries system to reduce public spending. However, the decision could limit smaller parties' chances of competing for spots on coalition electoral tickets. PRO party mayors across Buenos Aires province are moving to end the Open, Simultaneous and Obligatory Primaries (PASO) system with a draft bill reportedly moving through the offices of the provincial Legislature. "In this context, we could avoid spending the $6 billion pesos spent on the PASOs and transfer it to the people. It would be a huge step forward in political system, in favour of residents", Morón mayor Ramiro Tagliaferro tweeted last week. 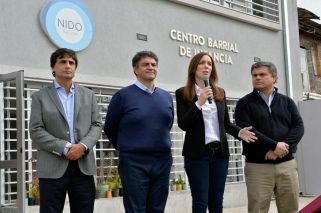 The idea also has the support of mayors Jorge Macri (Vicente López), Martiniano Molina (Quilmes), Néstor Grindetti (Lanús), Julio Garro (La Plata) and Diego Valenzuela (Tres de Febrero). Other Cambiemos coalition members have expressed their dismay over the decision, the LetraP news portal reported, noting that the Vidal government is yet to take a public position on the issue due to concerns the move could upset UCR Radical Party allies. Peronist mayors have also spoken out, saying they would not support any bill to eliminate the PASOs. "Since the PASOs were introduced, democracy and the Argentine electoral system have taken a step forward", Laprida mayor Alfredo Fisher told reporters. The system "has improved the capacities of the electoral system, (and) removing them would be a step backwards", he added.